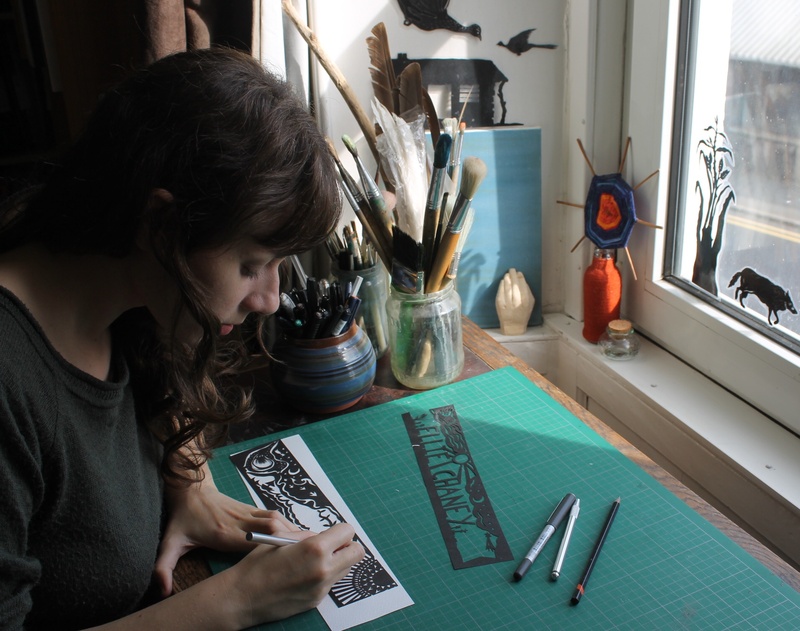 Hello, my name is Ellie Chaney and I’m an artist who creates illustrations and papercuts of the natural world. For me, the creative process is a way to study and learn about these creatures, and to address the fact that many species are now in decline and at risk. I am also an artist educator, and have worked with people of all ages facilitating workshops where people can explore these themes and their own creativity. I was born in Cambridge, but I now live in a small town on the outskirts of the beautiful Lake District in England. I studied Fine Art at Goldsmiths College in London before going on to complete an MA in Art as Environment at Manchester Metropolitan University. Throughout this time I worked as a freelance artist and creative workshop facilitator focusing on visual storytelling with 5 – 11 year olds, and I am now a trained teacher who specialises in teaching art and design to people over 16. As an illustrator I have been commissioned to create images both for small businesses and within the community arts sector. I have also worked as an animator for theatre and for educational charities. I began Stories In Paper after I became a mother and could no longer travel round the North West to make art with people everyday as a freelancer. I wanted to create art in a way that would enable me to spend more time at home playing and making things with my daughter, and to work towards fulfilling my dream of creating images for publishing. 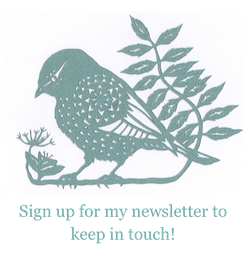 My work includes original papercuts and illustrations as well as making screenprinted and giclee prints. I also have a growing range of gift and stationary products. Creating artwork that is intricately detailed has always been a passion of mine, and so when I discovered papercutting in 2010 I fell instantly in love with the medium. I also love to work in illustration and printmaking, making complex images inspired by natural patterns and forms which I combines with my other love of ornamental patterns. Much of my work is available as prints and many original papercuts are for sale. Please contact storiesinpaper (at) gmail.com for more information.